Honda, borrowing from the playbooks of Europe’s top luxury compacts, has overhauled the Civic from top to bottom in a bid to re-establish its small-car chops. The redesigned Civic unveiled Wednesday in Los Angeles and Detroit offers a Christmas list of high-end features and engineering specs that are rare for its class: multilink rear suspension, hydraulic bushings, standard automatic climate control, leather seats that are heated front and rear, adaptive cruise control and more. The changes aim to recapture Civic’s sportiness while maintaining value and creating the “world’s best compact -- setting a new benchmark in the mainstream compact class,” Honda said. The company targeted the Audi A3 and other European models when engineering work on the 2016 Civic began in early 2012. “This tenth-generation Civic is quite simply the most ambitious remake of Civic we’ve ever done,” said John Mendel, executive vice president of American Honda Motor. 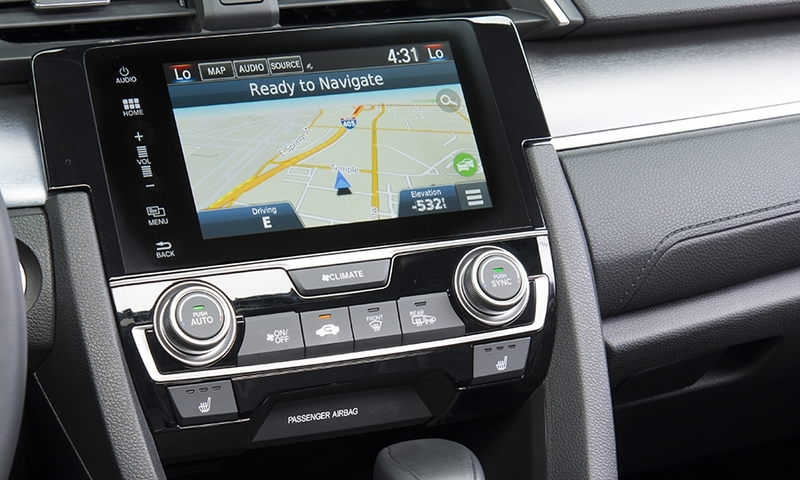 The 2016 Civic marks the first time Honda will offer a turbocharged engine in the U.S. and the first time the company will adopt a modular platform, one that will underpin future versions of the CR-V crossover and midsize Accord. The sweeping changes on Honda’s best-selling model worldwide, with annual volume of more than 800,000, come as a form of penance for the 2012-15 Civic. 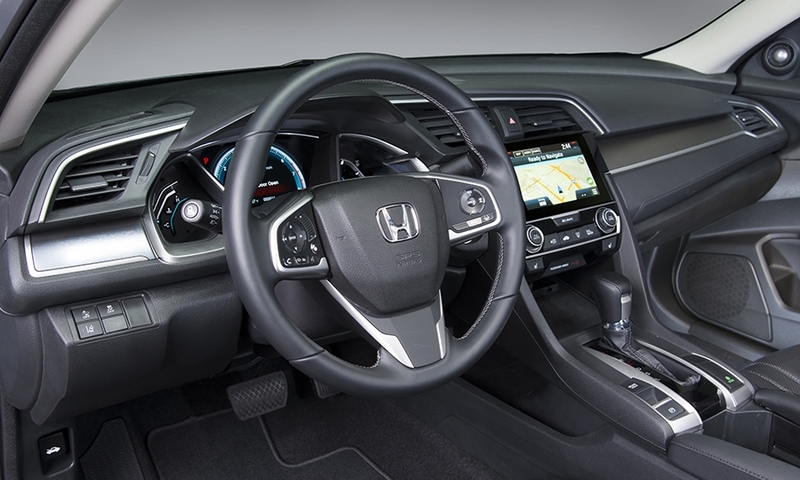 The ninth-generation Civic landed largely with a thud when it went on sale. The car was Honda’s bet that post-recession buyers in the U.S. would prioritize cheapness over anything else. It turns out, even in a down economy, people still like nice things. U.S. sales didn’t take a noticeable hit. But Consumer Reports stripped the Civic of its coveted “Recommended” label, critics panned it and residual values and brand image were threatened. Just a short year later, the company admitted it had misjudged the market and orchestrated a quick update. For 2016, Honda has hit the reset button altogether, striving to top stalwarts such as Volkswagen’s newest Golf -- the latest North American Car of the Year. 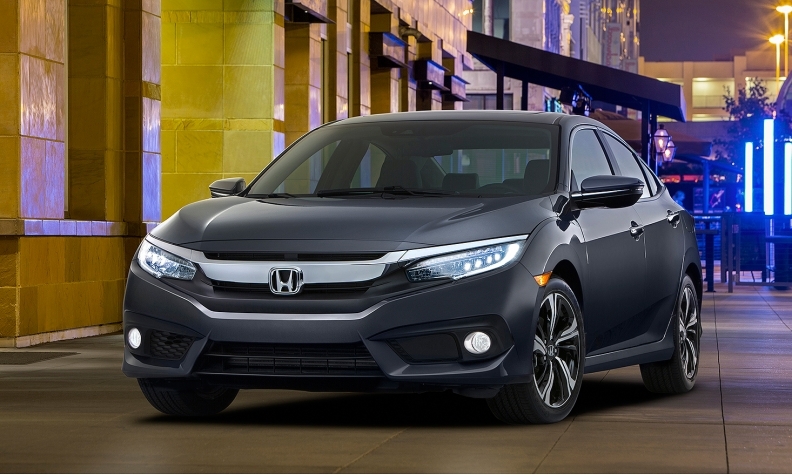 Honda claims the Civic’s all-new platform will set a new standard for “dynamic handling, steering, ride quality and cabin quietness” among compact cars. It features the most rigid, tightly sealed body and most advanced chassis in Civic history, the company says. In addition to the sedan revealed Wednesday night, Honda is planning a redesigned Civic coupe, a performance-oriented Si coupe and sedan, a five-door hatchback and -- much to the delight of the tuner crowd -- the first high-performance Type R offered in the U.S. In the sedan revealed Wednesday, the base LX and EX models will come with a 2.0-liter four-cylinder engine that’s paired with a six-speed manual transmission on the LX and a CVT on the EX. The EX-T, EX-L and new Touring trim all receive a completely new 1.5-liter turbocharged four-cylinder engine and a CVT. Power and fuel economy figures will be released in October, but Honda has promised the revamped Civics will top 40 mpg in highway fuel efficiency ratings. There are no plans to offer a hybrid or compressed natural gas-powered Civic. The new powertrains are wrapped in a redesigned body with a hatchbacklike profile, despite being a run-of-the-mill sedan. Large, boomerang-shaped taillights wrap around the rear corners of the car. Up front, a pronounced chrome bar stretches across the Civic’s face, echoing the update Honda recently made to the larger Accord. 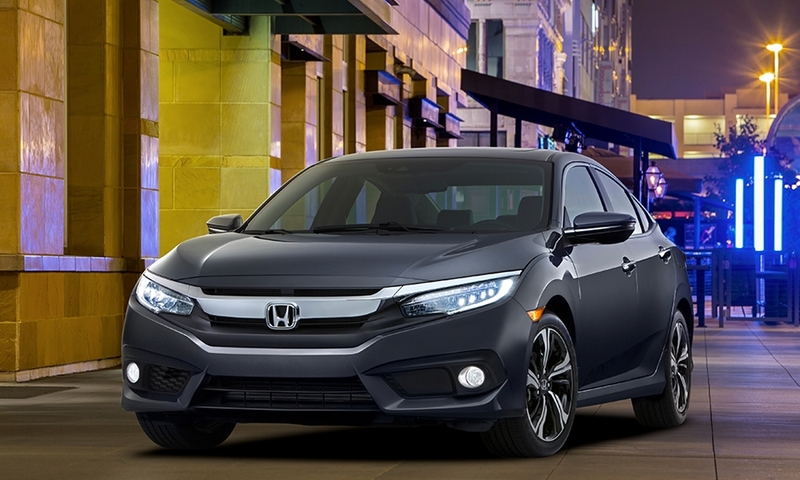 The 2016 Civic is nearly two inches wider, sits one inch lower and has a 1.2-inch longer wheelbase. The change allows for more interior room, an extra two inches of rear legroom and added trunk space. The suspension has been redesigned for better handling, the body is 25 percent more rigid, and aerodynamics have been improved by 12 percent, Honda says. The interior also seeks to make amends for the most recent generation with additional sound deadening, acoustic glass and soft-touch materials. The overhauled Civic is coming online at a time when U.S. consumers are rediscovering crossovers and SUVs, including Honda’s redesigned Fit and all-new HR-V subcompact crossover. U.S. sales of the Civic -- a core model for the brand since the 1970s -- have slipped 4.2 percent this year in a compact car segment that has increased 1.1 percent and an overall car market that has declined 3 percent. 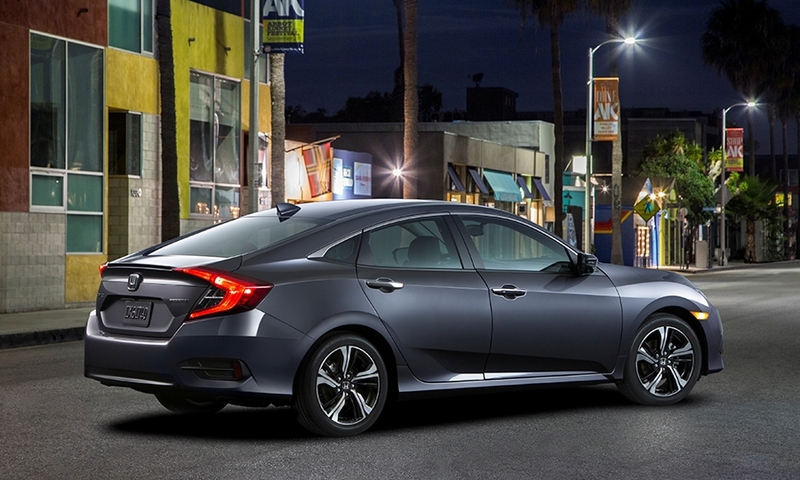 Pricing for the 2016 Civic will be announced on Oct. 19; the car goes on sale later this fall.